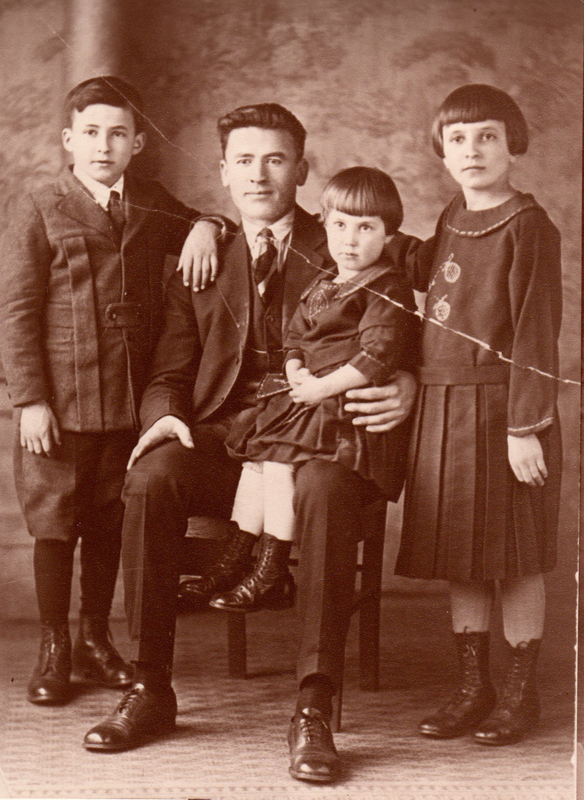 The background was used for many years in the studio of C. D. Holmes, Maynard photographer. This is a 1968 copy of the original photo. 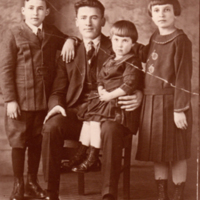 “Family Group - early 1900's Likely a Father and Three Children,” Maynard Historical Society Archives, accessed April 23, 2019, http://collection.maynardhistory.org/items/show/3857.